Forest area the size of Texas could be lost, says WWF. We are watching... a clear attempt to dismantle Brazil’s environmental legislation. This is something unprecedented in our history. The Brazilian Senate is poised to pass measures that will strip the Amazon forest and other important ecosystems of hard won protections and open up vast amounts of the forest to agriculture and cattle ranching, warns conservation group WWF. Senators intent on doing away with core elements of Brazil’s long-standing Forest Code – legislation protecting the most sensitive forest areas and establishing the amount of forest that can be legally converted to different uses – are pushing to vote on a drastically revised version of the code as soon as the end of the month. The new version of the law, backed by powerful agribusiness interests, has been rushed through both the House and Senate with an alarming disregard for input from critical sectors. Studies show that under the proposed revisions, natural vegetation in Brazil could be cleared or not restored on more than 175 million acres, an area larger than the US state of Texas. Under this worst-case scenario, more than 25 billion additional tons of CO2 would be added to the atmosphere, about four times the goal for global reductions in greenhouse gas emissions under the Kyoto Protocol during 2008-12, and 13 times Brazil’s total emissions from 2007 alone. The proposed changes to the Forest Code severely contradict Brazil’s recent efforts to position itself as a global environmental leader. Brazil has committed to cutting by almost 40 per cent the growth curve of greenhouse gas emissions, and to reduce Amazon deforestation by 80 per cent compared to average rates registered for the period of 1996-2005, both by 2020. Passage of the revised Forest Code, in its current form, would likely make it impossible to meet either of these goals. Furthermore, by taking such a giant step backward, Brazil will be cutting itself off from a growing global market for responsibly-sourced goods, in addition to forgoing the countless benefits provided by a healthy Amazon, such as clean air and water, stable weather patterns and various other environmental services. 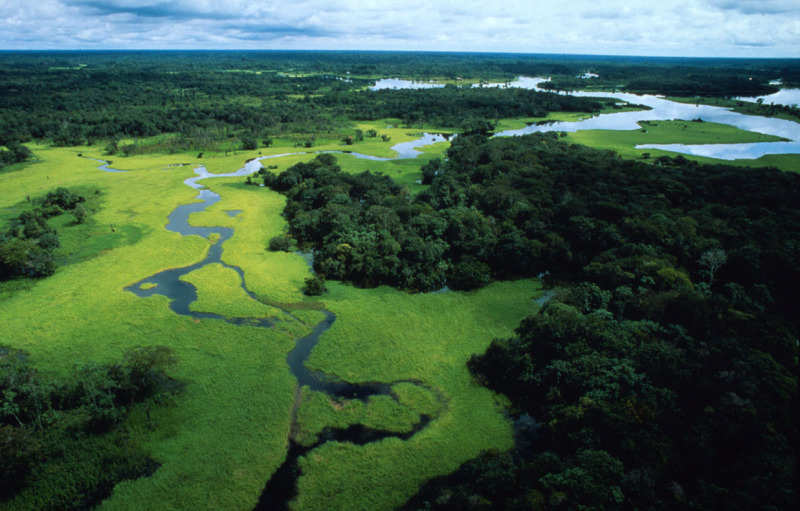 In June, Brazil will host the UN Conference on Sustainable Development, known as “Rio + 20”. It marks the 20th anniversary of the Earth Summit, which was a turning point for global conservation. Rolling back protection of the Amazon could severely damage the country’s reputation as it hosts this and other upcoming global events, including the 2014 World Cup and 2016 Summer Olympics. Following the Senate vote, the bill will go once more in front of the House before being sent to President Dilma Rousseff for final approval or veto. WWF is calling on lawmakers in Brazil to reconsider the overwhelming evidence demonstrating that the new legislation is not in the best interest of Brazilian society, and to recognize that Brazil’s development, reputation and economic future are all inherently tied to its ability to retain its environment assets. Brazil's original Forest Code established a percentage of rural land that should be maintained permanently as forest (Legal Reserves), and also prohibited the clearing of vegetation in sensitive areas – such as on steep slopes and along the margins of rivers and streams (Areas of Permanent Protection). In May 2011 the Brazilian House of Representatives approved legislation that drastically reduces the requirement for Legal Reserves and essentially dismantles the concept of Areas of Permanent Protection. The legislation, which has passed through several Senate committees and now stands on the verge of passage on the Senate floor, also grants amnesty to those who illegally deforested at any point prior to 2008, sending a strong signal to illegal deforesters that their actions will continue to go unpunished.